Technology. This one word has the power to change lives, businesses, economies and even history as we know it! We can love it, we can hate it, but we simply can’t ignore it. It can be viewed as a necessary evil by some, and a means to solve some of the greatest challenges that ail us today by others. The latter opinion, in my mind, is what has captured the imaginations of many, leading to indelible changes in the world. Take healthcare, for instance. Technology is set to have an unprecedented impact on healthcare in terms of building the foundation blocks towards a connected home and healthcare ecosystem. This has got a further impetus with the increasing adoption of smartphones, which has given way to mHealth initiatives. According to the Health Research Institute at audit and consulting firm PwC, over the next five years, mobile apps will play a major role in medical practice. And the global mHealth market is expected to grow exponentially to $59.12 billion by 2020. Indian healthcare, though one of the fastest-growing markets in the world, has been slow to adopt technology-driven initiatives. Even as the government and national policies emphasise the use of information and communications technology to improve healthcare delivery and outcomes, technology adoption, especially in the public sector, is still nascent. Needless to say, it will be a long process, one that will need proactive intervention at multiple levels. mHealth apps: Smartphone use is rising across age groups, including the older population, who have been surprisingly enthusiastic about its adoption. Smartphone owners are being encouraged to exercise, lose weight, and improve the monitoring and management of their health via an astounding range of mobile health and fitness applications. From chronic care management to complex population analysis, mHealth is enabling a shift in healthcare towards a patient-centric, outcome-based delivery model. Wearables: Driven by a demand for personalised care and precision medicine, we are seeing a steady growth in wearable technology. This not only includes fitness bands, but also digital hearing aids, blood pressure monitors and devices for diabetics. Demand is rising for devices that are unobtrusive, easy-to-use and non-interfering. Telemedicine: India's medical infrastructure is concentrated in urban areas, and most of the rural population has limited access to sound healthcare facilities. Technology is helping to bridge this gap, through doctor consultations via mobile devices using video, images, and audio channels. Preventive health: Technology-enabled care has the potential to reduce healthcare costs, increase access, and improve outcomes. The focus for developing this technology is on preventive healthcare as treatment programmes, testing procedures, and diagnosis can now be done through mobile-based applications. Technology has made it easy for practitioners to assess patients remotely. This helps doctors predict diseases as well as one's genetic predisposition to them. Though India’s healthcare sector is only skimming the surface with its use of technology, there is enough reason to feel optimistic. Healthcare providers are increasing their IT investments and viewing technology as an antidote to address a number of issues. Creating awareness and developing incentives for the use of technology are key to ensuring that the investment yields higher returns. What is also required is encouragement for health-tech startups, with the right incentives to driver further innovation. With exciting developments happening in the space, there is huge potential for a technology-enabled transformation that will not only change the face of healthcare but also pave the way for health outcomes we haven’t even imagined yet! 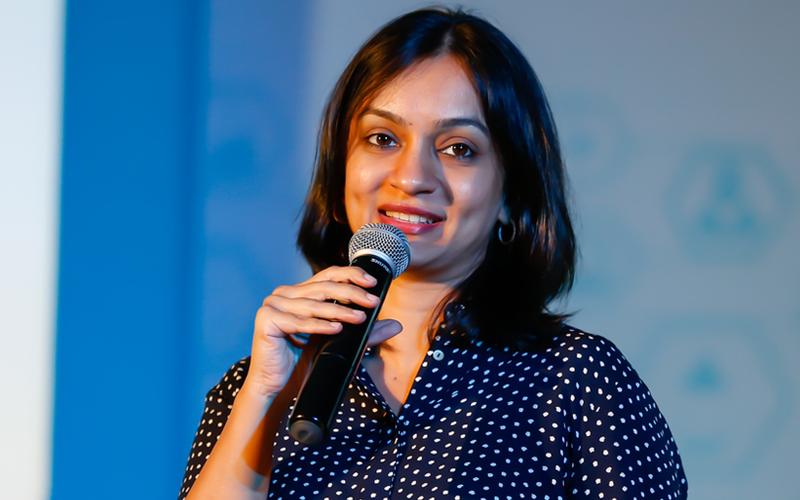 A former brand marketing professional, Ritu Srivastava is founder of health-tech startup Obino.